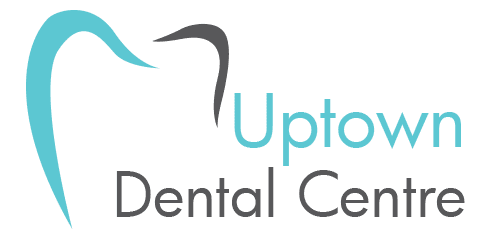 Uptown Dental Centre in Edmonton uses the Zoom teeth whitening system. Teeth whitening is a popular cosmetic dentistry procedure that lightens teeth and helps remove discoloration and stains. Treatment options range from in-office same day treatments to take-home do-it-yourself kits. This popular procedure can significantly improve the appearance of your smile in a shorter and more cost effective timeline compared to other dental procedures. We offer our patients two options for teeth whitening within the Zoom product line: a single treatment in-office or a multi treatment take-home kit. Our patients can achieve the same whitening results with either product, the difference being the in-office treatment offers whitening in about an hour while the take-home treatment is applied for a few hours a day (or night) for up to two weeks to achieve desired results. Whether you choose the immediate results of in-office whitening or take-home whitening, the Zoom whitening formulas are designed to reduce sensitivity, rebuild enamel and fill in surface defects while whitening your teeth. Zoom in-office whitening is a fast and convenient option for our patients wanting immediate results for their teeth whitening. At your teeth whitening appointment, your dentist will cover your gums and lips with a protective material before applying the patented Zoom whitening gel to your teeth. In the next step, your dentist will activate the Zoom gel with a specialized light that speeds the whitening process. The light may be applied a number of times over the course of your treatment, every 15 minutes or so, until the desired whitening has been achieved. During the in-office whitening process, our patients are encouraged to relax and watch TV or listen to music while their teeth are being treated. For patients who prefer to whiten their teeth in the comfort of their own home, we offer Zoom take-home products. Day White and Nite White take-home whitening kits are available at Uptown Dental Centre in Edmonton for our patients who wish to whiten their teeth at home. Treatment times will vary by patient depending on the desired level of whitening, but in just a few hours a day, or night, over the course of 10-14 days, patients can achieve the same level of whitening at home as a single in-office treatment. As children, our teeth start out with sparkling white enamel designed to protect them from trauma, chewing, and the effects of acid caused by eating or drinking sugary foods and beverages. Over time, our tooth’s core material dentin can begin to show through; dentin is yellow and as the enamel on our teeth is affected by wear and tear and eating and drinking our teeth can develop a yellow appearance. Teeth whitening can remove the stains and debris associated with aging and diet. For optimum whitening results, a preliminary oral exam and teeth cleaning appointment is recommended prior to any whitening treatment. 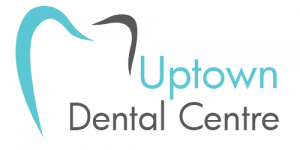 Call us at Uptown Dental Centre in Edmonton today and we’ll be happy to get you started on the way back to your bright shiny smile!